All except the pumpkin colored yarn, these are the colors that were suggested in the instructions. They had offered lavender for the fifth color, but I wanted something a bit more fall looking, so I substituted the pumpkin. 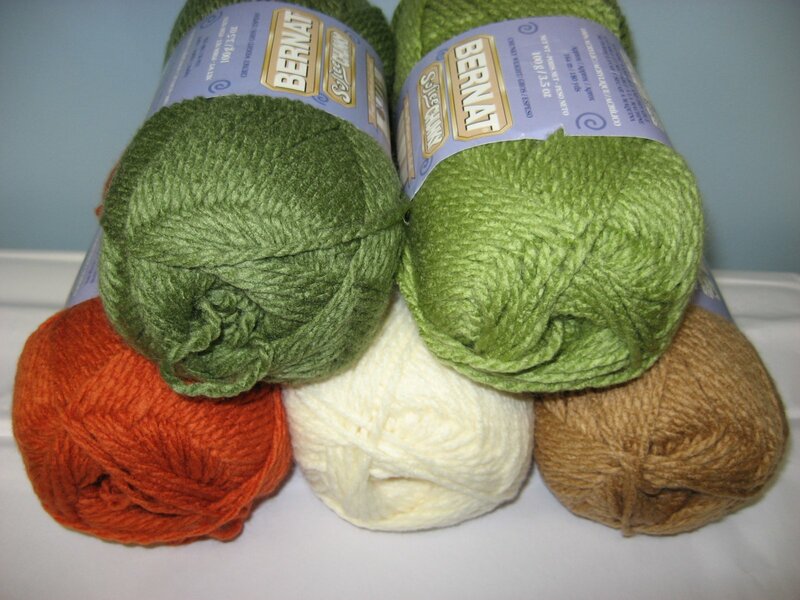 Not everyone is using this Bernat yarn for their projects. I was reading on the Bernat blog about the choices others have made in their yarns, and there are some really nice combinations out there. It will be lots of fun to see all the variations on this project once they are all revealed at the end. The first two clues have already been posted on the Bernat blog, so I'm running a little behind. But that's the nice thing about an event like this - you can go at your own pace and check the clues when it's convenient for you. 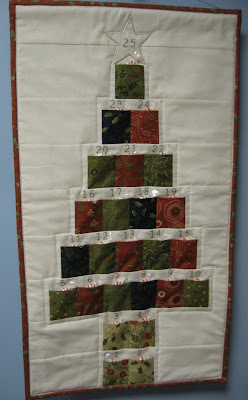 It looks like this project will be a great opportunity to learn some new stitches or revisit some old ones. I'm thinking it may also be good for beginners to work on small blocks, gain some confidence, build on their skills while learning new ones, and in the end, have a beautiful afghan to show for it. Grab some chunky yarn and your hook and join in the fun! Once that cold winter weather comes along, you'll be glad you did! 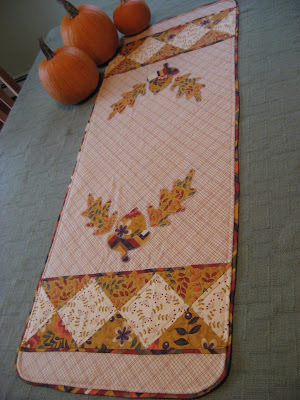 Make sure you come back here on Friday, October 1st for the beginning of the Fall into Fall Giveaway. I'll be offering an Awesome prize for my giveaway, and over 100 other bloggers will have some great prizes to give away as well. Whatever it is you're making will be gorgeous with those colors! I will be watching closely to see how your "mystery" turns out. 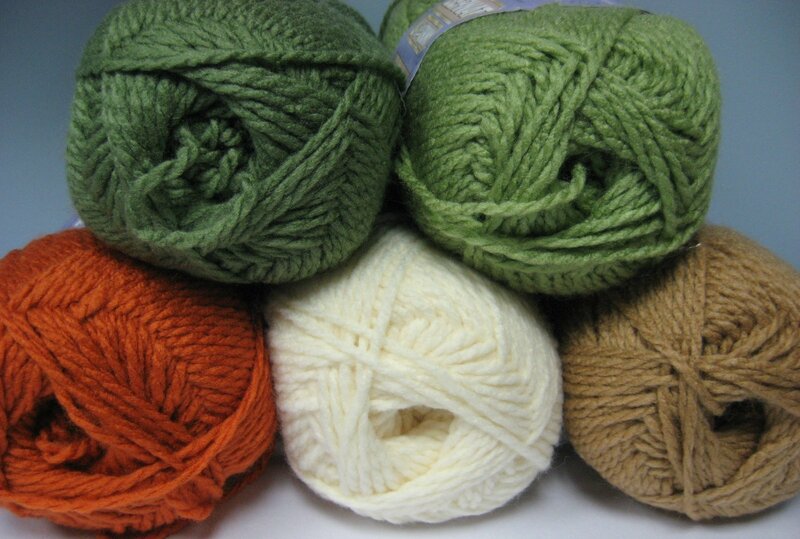 Love your fallish colors - especially the green which happens to be my favorite color. I need to jump on this project - it sounds like a fun one. I love your color choices. What a fun thing to be involved in. I used to crochet but not much any more. Love the colors you will be using.